morgan is using Smore newsletters to spread the word online. 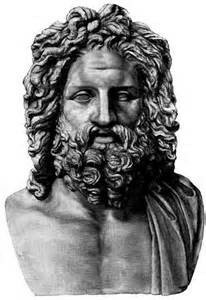 Zeus is the God of the sky and king of the Olympian Gods and Gods. Zeus overthrew his father Cronus. He made bets with is brothers Poseidon and Hades to see what positions they would be in control of. Zeus ended up the supreme ruler of the Gods. He is the lord of the sky, and the rain God. His weapon is a thunderbolt which he hurls a those who displease him. 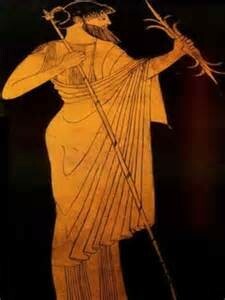 He is also married to Hera but, he is famous for his many affairs with other women. He is also known for punishing those who lie or break oaths. Zeus is the most important God in Greek mythology because he is the great presiding deity of the universe, the ruler of heaven and earth. He's the father of men an gods. He is the supier being. Zeus is the center piece of the universe in Greek mythology. Zeus has been through a lot, from saving his brothers and sisters from there father that ate them to remain in power. Zeus is also the god of the sky and rains over heaven and earth. Greek mythology.com states "As the father of men, he takes a paternal interest in the actions and well-being of mortals. He watches over them with tender solicitude, rewarding truth, charity, and uprightness, but severely punishing perjury, cruelty, and want of hospitality"(Greek mythology.com). Zeus is the father of men and the gods therefore he watches over them and cares for them. He some what treats them as his own children. He punishes those who have done wrong and rewards those that have done good. Even though there are multiple gods and goddesses it all comes down to one god, and that is those Zeus.Greek mythology would not have been the same if Zeus was not in power. He paved the way for the Greek society.